Architectural Restoration — Bernacki & Associates, Inc. Architectural restoration or preservation includes any building-related feature vital to the overall effect of an architectural space. Examples consist of practical building elements - like doors, window frames, rails, moldings, beams, or elevators - to aesthetic additions, for example: built-in sculpture, benches, or specific finishes. Preservation protects these building additions and, subsequently, contributes to the overall longevity and aesthetic of the building itself. Architectural spaces require and demand the same level of historical accuracy and attention to detail as fine art or furniture. 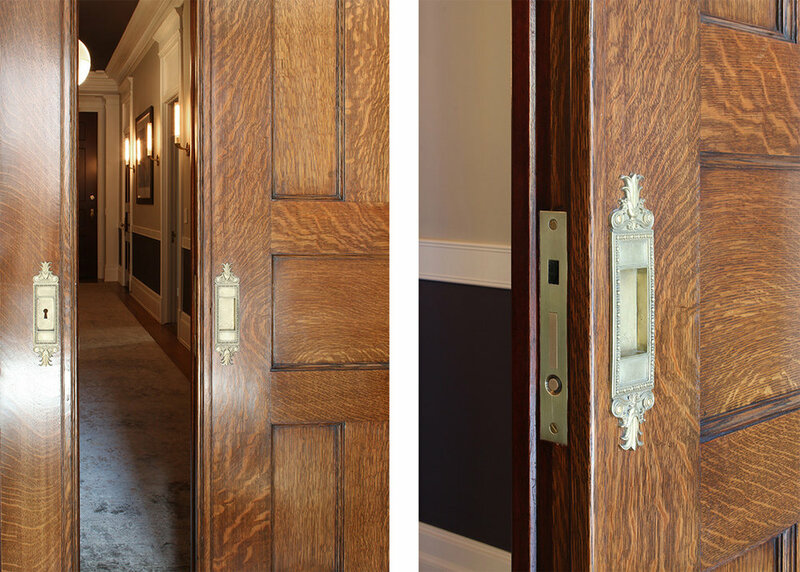 Along with an in-house team specifically skilled in treatment of architectural elements, Bernacki & Associates works with architects, builders, preservation groups, and interior designers for the most comprehensive results possible. Prior project range comprise of simple veneered wall panels to elaborately gilded high-light plaster relief. The process of conservation /preservation of an object or structure that contains historic significance can be very challenging if that object or structure must continue to be used on a regular basis. If that historic object or structure must also be brought into compliance with new and current regulations and social norms, those challenges multiply. 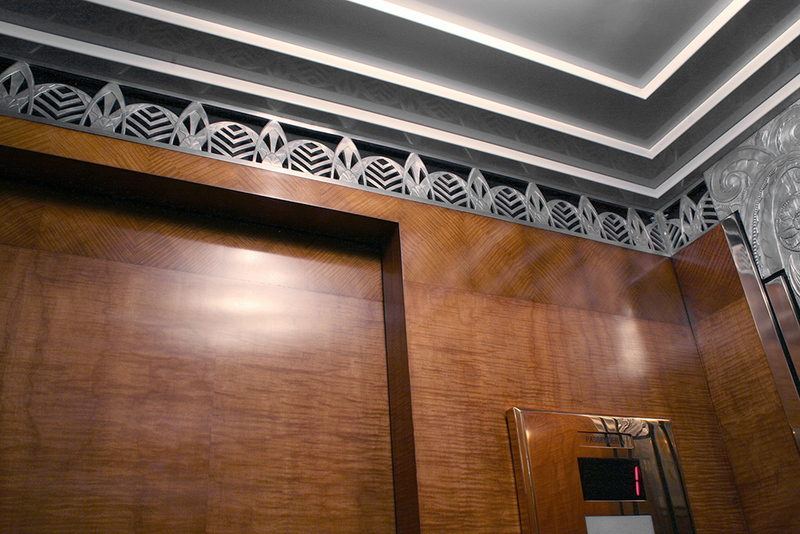 An unusual example of this involved a set of two very beautiful and unusual elevators that are located in the historic landmark Art Deco Powhatan Apartments built on the south side of Chicago in 1929.